Paint contaminates a piece of wood so that it cannot be recycled. Treated wood has toxic chemicals so cannot be recycled. Find out what to do with treated wood here. It’s OK to leave nails and staples in untreated wood, though please remove any that you can yourself. Certain types of wood products can be reused in a variety of different ways. Find out how to repurpose your wood product. The U.S. is the world’s largest producer of lumber, generating 30 billion board feet of lumber every year. (A board foot is the equivalent of a piece of lumber that is one foot long, one foot wide, and one inch thick.) 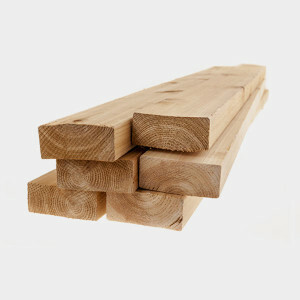 30 billion board feet is enough lumber to wrap the earth in a one-foot wide belt of lumber 228 times every year. Two-thirds of lumber usage in the U.S. is for home building and renovation.